The Tom Brady Diet is also called the TB12 Method. The reason is that it is based on 12 principles. Most everyone knows that Tom is the quarterback for the New England Patriots professional football team. Tom is already 40 years old, which is an age when most professional athletes, especially football players, are about ready to retire. Tom wants to play for about another 5 years. His TB12 Method may make that possible. The full title of his new book is "TB12 Method: How to Achieve a Lifetime of Sustained Peak Performance”. It is an exercise and nutrition program. It is geared to Tom's occupation as a quarterback and a result of his occupation and a meeting that he head with his body coach and partner Alex Guerrero. For Tom Brady, it is a lifestyle meant to achieve and maintain peak performance now and for years to come with the added benefit of maximizing 'wear and tear'. We do not get tackled weekly by 300+ pound rivals, Tom does. Pliability - daily lengthening and strengthening your muscles. According to Tom. muscle pliability is essential for long term health. Holistic Approach - engage your whole body which is interdependent. Balance and Moderation - in all things. Conditioning - means that you will have the vitality to do the things that you love. Limited Load | No Load Strength Training - a minimum load, optimum strength to do the things you need to do, attitude. Anti-Inflammation - promotes reducing inflammation and avoiding inflammation from our food, our mind, our body,our spirit. Promote Complete Blood Flow - improve blood circulation in all parts of our body. Water for proper hydration - drink plenty of water, preferably with electrolytes. Nutrition - your exercise and training needs to be accompanied by proper nutrition. Supplementation - supplement your diet with vitamins, minerals, and nutrients. Train our brain - train your brain the same way you train your body. Rest - rest your body and brain with rest. sleep, meditation, in order to allow for proper recovery. The diet or method is a combination of diet and exercise as well as thought, mindset, and attitude. Tom includes crucial help in areas outside of diet and exercise, areas that are instrumental in creating a long lasting lifestyle change. Each of Tom's 12 principles are solid building blocks for weight loss and a healthy lifestyle. Keep in mind that the TB12 routine is for a star quarterback. In other words, the TB12 Method is intense in all areas, it is meant to be. The results speak for themselves since Tom remains a star athlete in spite of his age. The diet is an 80/20 diet. 80% plant based and 20% lean meats. The Brady family diet is prepared by Allen Campbell, their personal chef. According to their private chef, Allen does not buy it, if is not organic. The plant based portion of the diet is made up of the freshest organic vegetables along with beans, millet, brown rice, whole grains, and quinoa, Lean meats include chicken, duck, and grass fed organic beef. Chef Allen includes fish as well, mostly salmon. The food ingredients that the Brady family avoids are white sugar, MSG, and white flour. Tom avoids vegetables that are considered inflammatory, such as eggplant, mushrooms, peppers, and almost no tomatoes. Coffee, caffeine, dairy, and fungi are also avoided. Tom prefers to avoid fruit although he may have a banana in a smoothie on occasion and his kids eat fruit. 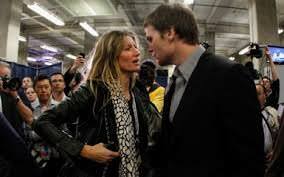 Tom and his wife Gisele are both very fit and seem to be in excellent health. What works for them may not work for you, but an 80/20 diet should help you to lose weight and to maintain a healthy weight. The diet may be too strict for many, since you will be giving up foods such as sugar, white flour and dairy. The exercise may be too vigorous for some. I about had my mind made up that this review was going to be a big exposure of Tom Brady and his wife Gisele Bundchen preying on folks who need to lose weight. The true revelation is that the TB12 Method is one of the best thought out, laid, out, and execute methods that you may find for losing weight and adopting a healthy lifestyle. The 12 principles cover so much more than diet and exercise. Tom and Gisele share a way to lose weight and maintain a healthy weight and include what I call the third leg of the weight loss success triangle. This third leg encompasses what it takes to win at losing weight. This missing information is what our 30 day training course is all about, so I am pleased to see it has not been over looked. I give the TB12 Method two thumbs up. Tom and Gisele's Method is excellent and will help you to lose weight, but it is not for everyone. It is not easy, but if you decide to try it, you should be glad you did. Lose 24 to 32 pounds of stubborn fat in 4 weeks.